Discussion in 'Football Recruiting' started by RB07OSU, Feb 11, 2019. Ask and you shall receive, here is the thread for the transfer portal as it relates to OSU targets. Please only post information for players that Ohio State is actually expressing interest in at the moment or offered during their high school recruitment (for example, this year that would be Justin Fields, Jonah Jackson, and Parker Braun). All other players entering in the transfer portal should be addressed in the general thread in the college football forum. It made sense to just have a general thread for transfer prospects rather than individual threads until a transfer/commitment is confirmed to avoid clogging up the recruiting forum. Once a transfer prospect announces for OSU, then we can make an individual thread, or convert an existing thread if the player already had a thread as a recruit. With that being said, right now it looks like the primary transfer targets we are going after are on the OL with Jonah Jackson and Parker Braun. I like our chances with Jackson and think he will hop on board sooner rather than later. We should go all out on Jackson, he would be a huge piece of our 2019 puzzle. Don't know a lot about Braun yet, but he seems like another guy that would definitely contribute. However, we are the only non-southern school on his list, as the other primary contenders appear to be Florida, Texas, and Miami. MaxBuck and OsUPhAn like this. It’s not a stretch to say that landing Jackson could go a long way in helping shape the 2019/20 season. I believe he was projected as a 3rd round kind of guy if he declared. I was really hoping Jordan would have stayed and Jackson would help offset that and I think it’s fair to say that on talent alone they might be similar players. Depth along the O Line is scary thin. It will be hard enough to fill a good starting 5 let alone having any depth. RB07OSU, mendensa and brodybuck21 like this. 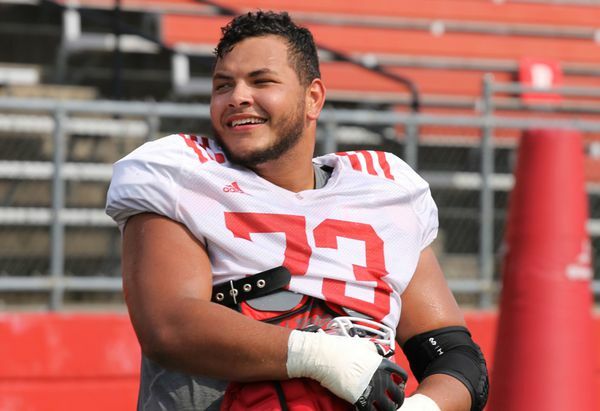 The staff is leaving no stone unturned and while Proctor is a viable target, Jonah Jackson remains priority #1. I literally check Twitisphere 3-4 times daily to see any updates. Yes, I have no meaningful passtimes. Landing Jackson could be a real difference maker to a team with holes trying to make a NC run every year and he’s a really good player. That’s why 247 sports has him as the #5 most important transfer and the reason that top end teams want him on board. It would be a massive get. mendensa, brodybuck21 and starBUCKS like this. Guessing we'll figure out on Jonah Jackson first and then everything else falls into place from there. If we get Jackson, search is over. If not, we go hard after Proctor and Braun (likely in that order). brodybuck21, RB07OSU, mendensa and 1 other person like this. Ill take this like a NSD special. Big pickup. think we're going to see a lot more of this in coming years with players seemingly jumping from team to team. Free agency in college football has officially arrived. Truly enormous get. I liked our odds but was not a sure thing by any means...welcome aboard Jonah, looking forward to seeing you help anchor the OL this year. sounded like it was slipping away towards OU after his visit. was hearing a lot of positives towards the Sooners. glad he decided to stay in the B1G. brodybuck21 and LordJeffBuck like this. Pretty much expected after landing Jackson?